April 2001 – Platform r.f. One hundred things that are certainly not art was a project proposed by Cesare Pietroiusti and realized together with a group of artists; Eija Leinonen, Tuomo Väänänen, Serafima Borotinskij, Ulrika Ferm, Mia Damberg, Fia Antus, Albert Braun, Maria Nordbäck, Hannah Kaihovirta-Rosvik and Peter Rosvik. These artists asked 100 persons in Vaasa to show them something that is certainly not art and then to lend it for the exhibition. A certain number of objects and descriptions or documentation where therefore collected and exhibited and later a catalogue was published with all the 100 things. 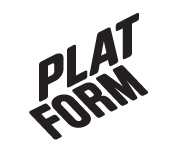 Invited to exhibit at Platform, the Italian artist Cesare Pietroiusti, sent a list of seventy-five proposals (his so called Non functional thoughts) among which the group of Vaasa artists could choose one to be realized for this occasion. In order to promote, within the local community, a discussion on the limits, and on the possible meaning of contemporary art, these artists decided to make an investigation on what is believed to be “certainly not art”. By exhibiting these “certainly not art” objects in an art gallery an interesting paradox arises. The different levels of authorship represent another important aspect of this project. The authorship, in fact, ranges from the initial proposal of one artist, through the active cooperation of a group of artists, to the final decisions and choices of one hundred people. With Cesare Pietroiusti´s words, a Non functional thought can be “a way of observing fragments of reality, of creating connections among events, people, places, perceptions, or beliefs… an idea that is not directly determined by carrying out an activity, and therefore appears without a reason”. His practice is “an attempt to better articulate these thoughts by building a communicative context in which they can be recognized by others as part of a shared patrimony.”Hopefully such recognition can contribute, in a simple way, to offer different ways of thinking, perceiving, and looking at things. The second room was an video installation picturing some homeless people living in a back yard; drawings of faces on big papers in rolls, standing by themselves on the floor; and the garbage produced during the construction of the exhibition was left on the floor, strengthening the stinking atmosphere of a shabby backyard. racetrack. Cesare Pietroiusti is based in Rome, Italy.